SBP offers a variety of programs to meet community needs during all phases of disaster mitigation, relief and recovery. -Before Disaster: Our Disaster Resilience & Recovery Lab offers trainings to small/medium sized businesses, homeowners and municipalities in communities vulnerable to disaster. -After Disaster: We deploy teams of AmeriCorps members to communities to meet immediate relief needs that help residents reach a point of stability and begin the longer process of recovery. -Long Term Recovery: AmeriCorps members are on the ground ensuring individuals impacted by disaster have a safe, stable place to call home. Members rehabilitate damaged homes, build new homes for families that lost everything and transform properties blighted by disaster into affordable homes for first time, low income homebuyers. 1) Volunteer Coordinators - Members recruit, orient and support the 10,000+ short term volunteers that complete construction tasks at our worksites annually. 2) Client Services Coordinators - Members serve as the point of contact for all individuals seeking assistance to assess an individual’s needs, provide referrals and support them throughout the rebuilding process. 3) Project Leads - Members supervise, train and ensure the safety of short term volunteers in completing the final phases of construction on a client’s home (insulation, drywall, mudding, sanding, painting, and floor and trim installation). 4) Skilled Trades Specialists - Members, under the direct management of a professional trades manager, serve in teams to complete the necessary framing, carpentry, plumbing or electrical work on a client’s home. 5) Supply & Logistics Coordinators - Members coordinate the operations of SBP’s internal warehouse and delivery system to ensure that sites have the tools, materials and permits / inspections needed to function optimally. SBP's AmeriCorps Program exists to meet the needs of any community impacted by disaster. During the course of the service year, members may serve on Deployment Teams to provide immediate relief services - such as mucking, gutting, mold remediation, client/damage assessment, and volunteer coordination - in any community with need for our services. AmeriCorps members are placed in one of the communities listed above and continue to serve the needs in this community unless activated to deploy. SBP is committed to remaining in these communities until the lingering needs for our services have been met. While disasters impact communities as a whole, SBP exists to meet the needs of individuals who are without alternate pathways to recovery. SBP serves community members that meet the following criteria: (1) Resident of the community prior to the disaster, (2) Owner of no more than 1 property, (3) Annual income below 120% AMI, and (4) Unable to afford a market rate contractor. SBP gives special priority to senior citizens, individuals living with disabilities, and families with school-aged children. By vetting clients along these criteria, SBP targets those most in need of services and does not undercut economic growth and opportunity for local businesses. 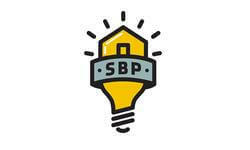 SBP has currently rebuilt over 1,500 homes nationally. While there are staggering needs in the communities we continue to serve, we are proud of the impact that we have made thus far. A Client Service Coordinator is an advocate and liaison to SBP’s clients from application to completion of construction and move-in while working with clients to remove barriers to their recovery.